The ACAMIS Early Childhood Education (ECE) Conference is now accepting peer presenter proposals. This is an opportunity for early childhood educators to facilitate learning opportunities - by teachers for teachers. We welcome peer presenter teams to share expertise with our peers. If you already practice good collaboration with a teacher, you can come and present together. Deadline for proposal submissions: Monday, May 20th, 2019. The ECE Conference Planning Committee will be in touch with potential presenters. Please send the completed Peer Presentation Proposal Form to eo@acamis.org. Nanjing International School (NIS) was founded in 1992 to serve the educational needs of the expatriate community in Nanjing. NIS is a pre-K-12 English language curriculum school that currently hosts over 40 nationalities, with American, German and Korean comprising the largest groups. The purpose-built school has a capacity for 900 students with a maximum of 21 students per class. NIS is an active member of ACAMIS (Association of Chinese and Mongolian International Schools), providing students with many opportunities in the arts, athletics and cultural activities through the year, including cross country, swimming, soccer, volleyball, basketball, Model United Nations, ISTA, and Discover China trips. NIS also participates regularly in ACAMIS and CISSA sport leagues. NIS offers a rigorous academic International Baccalaureate program. Graduates gain admissions to prestigious universities around the world, often receiving additional credits for IB studies. Both NIS and the IB recognize and encourage multiculturalism, and, through the Learner Profile, have high expectations of personal and social respect, values, and achievement. All instruction, save foreign language specialties, is in English. NIS offers excellent support for international students whose first language is not English. NIS will report incidents of academic dishonesty when requested or required by an institution. NIS is accredited by the Council for International Schools (CIS), the New England Association of Schools and Colleges (NEASC), and authorized by the IB. Each organization conducts a review of the school every 5 years. Frances has worked in international schools for 25 years, the last 5 of them in China. She has been a member of the ACAMIS Spring Conference and Technology Conference planning committees, now turning her hand to where her heart lies, the early years. This conference will be her 4th ACAMIS ECE Conference and she is thrilled at the programme on offer. We are going to have two fantastic days together! Inspiring young children to learn has bene Frances’ focus for most of her teaching career. Planning for inquiry, developing independence and supporting language learning are key to her. Recently she has worked with a team at her current school to plan for and introduce a Dual Language Programme. This took her on a huge learning journey, that she is still on! It’s exciting to spend time with fellow early years teachers. She hope we all have great learning experiences over the two days and make some wonderful connections with people from this region. Merril is an early childhood educator who has been fortunate to work with children around the world, from New York City, the Netherlands, and most recently in Beijing. She is inspired by progressive and constructivist learning theory and practice, cultivating student agency, and nurturing a language-rich classroom. Merril is honored to be a member of the ACAMIS early childhood planning committee and is looking forward to sharing, learning, and constructing meaning alongside fellow educators. This is Shemo’s 6th year at Nanjing International School. As an Early Years teacher, she hopes to enable learners to discover their potential by providing a thoughtful inquiry based environment where all students feel included and empowered in their learning. Shemo is passionate about inquiry, play-based learning and documentation. She is excited to be part of the ACAMIS planning team and looks forward to meeting other Early Years educators at the ECE conference at Nanjing International School. I am Aleksa Moss and I have been teaching for thirteen years, the last seven in Asia. I have taught preschool through kindergarten at three different international schools in Macau, Sumatra, and China. I currently live in Shanghai, China with my husband and menagerie of rescue animals. I love collaborating with Early Childhood teachers across many schools and programs. Working with ACAMIS allows me to build professional relationships, helping me grow as an educator. Leda is the Assistant Principal for the Early Primary at Shekou International School. She has been teaching for the past 23 years, which provided her to work in various schools in the Philippines, Japan, South Korea and China. She has been in the international school circuit since 2005 and has worked with four IB World Schools since then. Her passion includes early childhood education, language development, concept-based curriculum and teacher training. Together with SIS and ACAMIS planning teams, Leda is looking forward to meeting more early years educators in the next ECE conference at Shekou International School! Karen is a Kindergarten Teacher and Year Group Coordinator at Suzhou Singapore International School. This is her 6th year at SSIS and her 10th year in China. As an educator for over 18 years, she is guided by her ‘image of the child’ and her belief that children enter her classroom as naturally curious, capable and knowledgeable individuals with whom she co-constructs meaning of the world. Karen sees her role as a member of ACAMIS-ECE Planning Committee as a chance to network and to learn alongside educators on the committee. 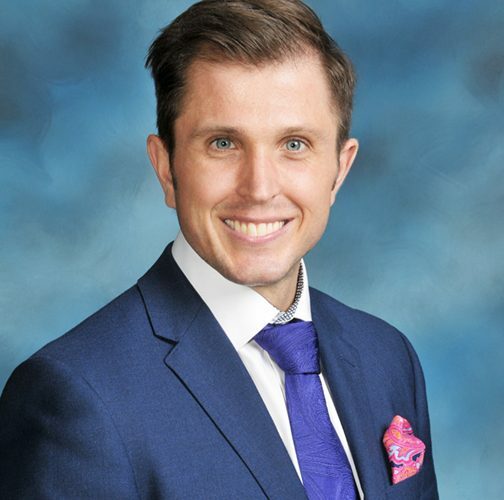 Nick Chignall is the Kindergarten Vice Principal at the International School of Macao. He strives to have students develop socially, emotionally, cognitively and physically through play-based learning and views children as confident, capable and active learners. Nick believes we are here to guide our students and learn and explore alongside them as they build their knowledge, skills and attitudes. A school is first and foremost a community of teachers, staff and parents that work collaboratively to provide the best possible environment for our children to grow. ECE is a crucial part of a child's life and we as teachers within this field are constantly learning how to support our youngest learners. We are inviting participants to take part in this ‘Show and Tell’ session. It will take place at the morning coffee/tea break on the second day (Saturday October 27) of the Conference. In this 45-minute session, you can share things that you are doing in your school, or resources that you think other teachers would love to hear about. Please bring anything with you that would like to share, it could be manipulatives, photographs, books, learning stories, anything that you think could support other early years teachers with their work. The session will take place in the main conference room. We will have tables and display boards to display on. Feel free to add your resources/artefacts at any time during the conference, but the main time for people to look at them will be on the Saturday break time. Until recently, Kirsty was the teaching Director of Cornish College Early Learning Centre, in Victoria, Australia where she worked for ten years. Many educators from around the world visited the early learning centre as a place of provocation, innovation and inspiring practice. Kirsty was awarded a national excellence in teaching award for innovative practice together with a State and Territory award for Victoria for her contribution to the early childhood sector. Kirsty has been a long-standing committee member of the Reggio Emilia Australia Information Exchange (REAIE) and has undertaken two study tours to Reggio Emilia, together with visits to the Forest Schools in Denmark and the Nature Kindergartens in Scotland. The philosophy from the Reggio Emilia Educational project has had a profound influence on Kirsty both professionally and personally, continuing to fuel a hope for children, all children to be respected and valued as they deserve to be. 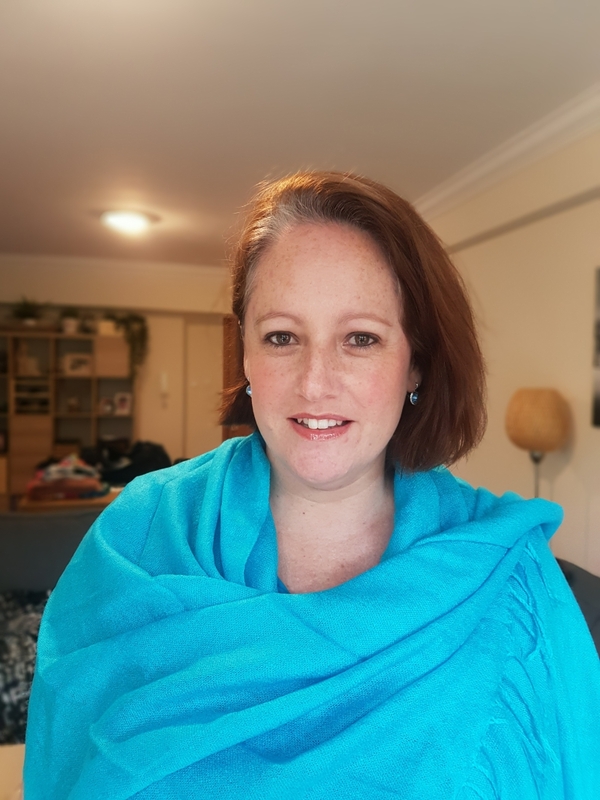 Kirsty now consults and lectures in a variety of contexts both nationally and internationally, with insight shared from both a practitioners and leadership perspective. She is particularly passionate about the all-important question- how do we as educators enable children to flourish? Language learning is a complex and multifaceted process and is deeply connected with culture, identity and belonging. This will be an opportunity to construct understanding from the multiple perspectives of the group. Nicky Weir is the Centre Director for the Yew Chung Early Childhood Development Centre; an initiative of the Yew Chung College of Early Childhood Education. As Centre Director Nicky is involved in creating community outreach projects, professional development, and the first in Hong Kong - Discovery Space; all focused around the advocacy of quality early childhood and young children’s well-being. Nicky’s career in education has spanned almost twenty years, across three continents. She has had teaching experience in early childhood, primary, secondary, and tertiary education, providing her with a unique perspective and understanding of the effects early learning has on a person. 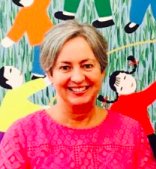 In the past decade, Nicky has worked in leadership within early childhood education through her involvement in a Pre-School start-up, as well as Principal of Yew Chung International Kindergarten, Hong Kong. As an educator and a mother, Nicky’s passion and drive is to empower the younger generation with dispositions and skills that will allow them to be believers in their dreams, and resilient in their efforts to make the world a better place for all. If you have been in early childhood education for any length of time you will come to know the diverse and opposing beliefs about ‘young children’s learning’. Society itself has certain ‘stigmatisms’ around kindergartens and their role in the lives of children. I will explore the myths around ‘play-based learning’, and some strategies that I have found to be effective in building a community where ‘play-based pedagogy’ is advocated by all involved in a child’s life. Language is one of the ‘hot topics’ in early childhood education, carrying much concern and scrutiny from parents. I wish to explore the purpose of language and its role in a child’s life. I would like to argue that language is at its basic-level, verbal and functional; but at its most brilliant, meaningful and empowering. My aim and hope is to provide an opportunity for you to ‘glimpse’ into the messages your unique language is communicating to the children in your care. Workshop #1 : What is My Role in Play-based Learning? In this interactive workshop, we will explore the challenges involved in being an effective facilitator of ‘master play’. In this session, we will discuss together, share and learn about different roles and strategies we can use to create a rich learning environment through sustained and intentional play. Once again, you will have opportunity to share your expertise as well as receive ‘take-aways’ for you to apply back in your context with your unique group of children. This interactive workshop will discuss the role of documentation in a play-based pedagogical approach. Strategies and examples will not only be shared by myself, but also by the participants in this workshop. With lots of discussions and explorative activities, this session will hope to give you some ‘take-aways’ to try back in your own context. Having worked in international education for the last 17 years after an architectural career of 12, I consider myself an open minded, flexible and creative educator. I am from Scotland however have lived most of my life in various countries and after spending 17 years in Madrid I am currently living and working in Shanghai. I worked at The International School of SEK el Castillo in Madrid for 14 years and it was where I began to implement the play based learning philosophy in the PYP classroom. I am currently working as part of the Western International School Shanghai Early Childhood community where we are immersed in "Learning by Doing". My passion is the International Curriculum and here in Early Childhood in Western International School Shanghai we believe that PLAY is the highest form of research and that embracing open learning spaces both indoors and outdoors enhances both our teaching and learning practices. Michelle and Veronica are both experienced early childhood teachers who have worked in a number of countries. For the past three years they have worked together as co-coordinators, overseeing the Early Childhood section of YCIS, Shanghai Pudong. Michelle and Veronica are both passionate about early childhood and supporting teachers to create learning environments that stimulate curiosity and improve learning outcomes for all students. Are you looking at a way to engage your teachers in meaningful professional development, where not only teachers learn but so do the leaders in the team? Our ECE Team moved through two years of a dual learning process that had many benefits for students, teachers and leaders. Teachers took ownership of their learning creating deeper understanding for horizontal and vertical alignment. In this session we will take you through the dual process of moving towards a quality Learning Community. Amy Thames is from America, however, she has been living and teaching in China for the past fourteen years. She has a Bachelor’s Degree in Elementary Education with Early Years specializations. She has just finished her Master’s Degree in Early Childhood Education this past August. Teaching young children is her passion and she enjoys sharing her passion with others! Yaping Kong is a Chinese teacher. She has been teaching in the Early Childhood field for nearly 21 years, working with children ages 3 to 6 years old. She graduated from the University of Nanjing Normal University in Early Childhood Teaching. Mini-Keynote: Language Development through Play, Songs, and Routines. We will explore how we enrich our young children's language and provide them with confidence through the avenues of playing, singing, and our daily routines. Alphabetized by peer presenters' first names. Subject to further changes. Aleksa Moss is an early childhood specialist at the Shanghai Community International School Pudong campus. She has 12 years of teaching experience, half are international. She is currently working toward a doctorate in international leadership. Action research is a daily part of Aleksa’s teaching practice, supporting both students and professional growth in the classroom. This workshop will cover the basic components of using the Seesaw app as a communication tool between teachers, parents, and students. It will go on to breakdown methods of using the See Saw app as a data collection tool. By using the app to collect exemplars and student data, teachers can track student progress towards their learning objectives. This workshop will highlight features of the app that can be tailored for data tracking, and give classroom examples based on action research. This presentation has direct applications to classroom use of the Seesaw App. 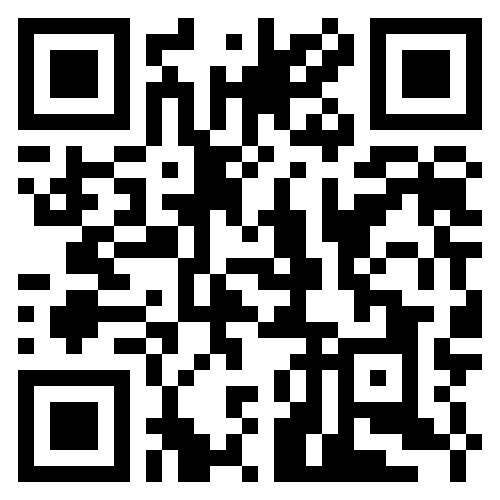 Hints and tips for ease of use will be provided along with a QR code for a free month of premium use for schools who are not using the paid service. I'm originally from the Philippines. I have been in early childhood educator for 16 years. I completed my M. Ed. In Reading and Writing in Prek-6. I have attended and presented various workshops and trainings internationally. Using technology to enhance learning in early years is one of my passion. I like tinkering and exploring with new ways that can increase children's engagement in inquiry. I believe that, "Who dares to teach must never cease to learn - Dana." This workshop will allow participants to explore and use different apps to increase student agency, motivation, and introduce digital literacy skills in young learners. 1. Learn strategies to personalize student learning and develop digital literacy skills. 2. Learn three simple apps you can use on the iPad which give young learners agency and allow them to represent their thinking. Ann Marie Luce is originally from Ontario, Canada where she worked first as a teacher and then as an administrator for 18 years. She is currently the preschool/elementary principal at The Canadian International School of Beijing. Ann Marie is passionate about leadership, teaching and learning. She is a reflective practitioner and strives to grow in her practice so that she can best support teacher growth and development. Kevin O'Shea is from Nova Scotia, Canada and has worked internationally as an educator for 15 years. He is currently an elementary school teacher at CISB. He is passionate about nature education and connecting children with the natural world. He created the CISB Nature Club and regularly connects with conservation groups in Beijing and beyond to help improve and advocate nature and outdoor education. Kevin believes that if we can teacher children to love nature, they will grow up to care for it. Silvia Jimenez is originally from Spain. She holds a Bachelor of Arts in Psychology, and is a certified Early Childhood Educator. She is currently a preschool teacher transitioning to be the new Art and Outdoor Learning Integrator at CISB. She is passionate about education and learning with children as they discover themselves through new experiences in nature. Urban educational settings pose a challenge for students to access outdoors. Take a journey with us and learn what is possible. We will share our inquiry of how we reimagine and use our limited outdoor spaces to create purposeful and engaging outdoor learning environments. Our goal is to transform our learning community in order to open our students' eyes to the wonder of their natural world by creating meaningful spaces to explore, experiment and inquire. Tune In: It all started with a question: How do we create opportunities for students to connect with nature in our urban environment? Find Out: What spaces did we have? How could we use them? What will it take to transform these environments? Sort it Out: How did we prioritze? How did we divide the planning? Go Further: What did we research? How did we design the space? What did we need? Make Conclusions/Reflect: What did it take to make it happen? What are our next Steps? Take Action: How do we explore the possibilities for our space with our staff and community? How do we collaborate with colleagues and outside experts to fully utilize the new spaces? The interaction and appreciation of nature is essential for students as well as educators. When connecting education to the natural environment, students have context in which to place learning, motivation and a sense of freedom. Establishing an authentic connection to the environment offers the opportunity to cultivate students' awareness about their place in the natural world. Open the mind of our audience to the opportunities contained within the spaces they have, and reimagine the possibilities for learning. I’ve taught six years in a Kindergarten as a homeroom teacher with American curriculum and Montessori, and five years in high school for teaching AP Computer Science, IB Korean Literature, and Technology. Since I moved to Macau in 2015, I’ve been teaching Junior Kindergarten (4-5 years old) and practice Reggio Emilia approach at TIS (The International School of Macao). When I started to teach kindergarten students with Reggio Emilia approach, it was not easy to shift from the Montessori style which is set with all developmentally prepared materials to inquiry and project-based and play-based learning without specific learning materials. The teacher’s role has been changed, and the parents’ involvement and outreach to the community have been extended. This workshop will give teachers some idea of how to work with children in Reggio inspired classrooms and help some teachers who struggle with pedagogical documentation in the classroom. I hope this presentation could help teachers who want to support students’ learning with documentation. Teachers will share ideas and get inspired by each other, and learn how to support their teaching assistants at play and communicate with their children to promote the students’ learning as well. Clare and Elizabeth both come from Canada and attended Crandall University in New Brunswick. They are both on their 3rd year of teacher at the Canadian International School of Beijing. Universality of play. Play and discovery in the classroom extends language in an international setting. Students play and communicate with each other beyond their words through art, integration of mentor texts, dramatic play, exploration of nature, and through manipulative learning. Power of developing a good language base in pre-school through shared reading, read alouds, and intention use of vocabulary will prepare students as they move forward into kindergarten and practice expressing themselves even further through language. Students during this stage begin to practice using their words to develop their identity and express themselves in an international setting. Through their language and their identity they begin to build relationships and self-awareness, realizing what makes them different and what is the same. During early years language can help them to become more independent through expression of their needs and interests. In Kindergarten and exploration of UOI’s it is integral to use particular vocabulary when expressing conepts and ideas. Through practicing students begin to foster confidence to use these terms independently and connect them to situations in their own world. For example, in our UOI “How We Organise Ourselves” we will often use the term “systems”. This would be expected to be above the kindergarten level of understanding, however through examples and bringing it to the level of the students we are able to help the students develop an understanding of their term and how it connects to their own world, seeing systems in their own communities. In Preschool students are introduced to the idea of language through a variety of means beyond oral language. For example in our UOI “How We Express Ourselves” students learn they can share their ideas through painting, drawing, and MakerSpace areas. Students also begin to learn terminology for simple tools they may use to create and begin to integrate them into their daily works. Elizabeth Nunan, has been teaching for 18+ years with young children. She worked with a range of curriculums, Montessori, English National Curriculum and Common Core Standards. She is passionate about providing the best education possible for early years. Elizabeth has extensive experience working with English language learners and have a passion for driving mathematical experiences through play based learning. Sally Gregory is an experienced early years teacher with a Masters in Mathematics education. Having taught in Australian, United Kingdom and China, Sally has extensive experience with three national curriculums and has a deep knowledge of how mathematical practices develop and enhance student understanding language. Through interactive, purposeful games and activities we will share our practice for differentiation through scaffolding and questioning to enable to children to delve deeper into their reasoning and mathematical justifications. The workshop will start with a brief overview of our approach to teaching mathematics. We will model an activity that can be adapted for Early Years and Lower Elementary through hands on activities and high order thinking questions. Following this, participants will engage in adapting mathematics activities to ensure appropriate level of challenge for various ability levels and age groups. Hi there! I'm Emily Putnam! I've been an Early Childhood Educator for thirteen years in the US, Thailand, the Philippines, and currently in Shanghai, China at Shanghai Community International School in Pudong. I am an avid hiker and have successfully climbed Mt. Kilimanjaro in Tanzania, spent a summer exploring the Inka Trail in South America and am constantly on the lookout for new and exciting trails to explore around the world. I also enjoy spending time on my bike and have bike toured around multiple countries in Asia. When I'm not hiking or biking I enjoy arts and crafts, reading, and of course traveling the world! Early Childhood Educator do not often have the opportunity to work closely with learning support teachers in the classroom. EC teachers are typically the ones who start the paperwork trail and data collection for students we believe may benefit from learning support. This year was my first ever to have a student in my class with a special needs diagnosis. This diagnosis meant that I would be working with a designated learning support teacher to modify and accommodate for my student, Alexis. Little did I know just how much I would learn about myself as a teacher as a human being through my journey working with learning support and focusing on keeping a growth mindet for my students (and for myself!). What happens when things don't go as planned? What happens when the data doesn't magically give you the answers? Let me share what happened when I shifted my mindset and decided that even if things don't always go as planned, that's okay! Through a play-based inquiry approach, allow me share how we created an environment which allowed our students to learn and grow in their own way and how the language of growth mindset helped us to create a classroom that celebrates inclusion. School Leaders, classroom teachers, as well as teachers' assistants could all benefit from this presentation. The power of inclusion model and how a change in mindset can change your experiences in and outside of the classroom. Ines Suanzes and Helen Everitt have been working collaboratively for a year at BCIS Early Childhood Center. Ines and Helen have over twenty years teaching experience between them. Ines specialized in teaching ESL students prior to coming to BCIS, and Helen specialized in teching young children (age 2-5). Together, they have devised system and strategies in order to ensure that all of the learning experiences the student choose are purposeful and rigorous in targeting language development. They also have knowledge and experience of creating a positive, beneficial co-teaching classroom. This workshop is about the role of observation-based assessment and skills-based planning for teaching language with young children. We will describe how we make effective use of the observations we make in order to assess, plan and deliver language outcomes for young children through play-based learning. We will talk about the different methods we have found effective in recording observations which identify children's strengths and learning needs. For example, using vocabulary and skills checklists which relate to the learning areas in the classroom. We will talk about how best to use assessment data to scaffold language needs, and the value of setting personal language goals and next steps for each student in a primarily ELL classroom. We will also explain how to set up learning areas and experiences which support language development. For example, providing opportunities for language learning in the construction area and role play area. We will describe how to plan for the teacher and teaching assistants to lead activities and scaffold conversations, targeting specific vocabulary and language skill development, which is relevant and differentiated for each child. By the end of this workshop, participants will have developed their understanding of making effective observations and using these for assessment. this means that participants will know how to set up learning areas and utilizing adults so that each area of the classroom and outside environment purposefully provides for langauge development. Techniques and strategies for assessing and scaffolding language learning through a play-based approach. As a fiercely child centered teacher of small children for many years, my pedagogy focuses on learning through inquiry-based play. I am always seeking new and innovative ways to include authentic discovery in all areas for my students’ experiences. I collaborate with others to use technology to facilitate new forms of inviting play in the classroom. Wanting to bring the energy and benefits of outdoor play indoors, this workshop explores the journey of transforming ordinary outdoor bikes into globetrotting indoor adventure vehicles. The partnership of tech, design and school services enabled the children to pedal through varied locations around the world, which brings engaging opportunities for high energy gross motor play. Come and find out the detailed process we went through to bring this adventure about and the wonderings that came afterwards. Outdoor equipment can be brought inside to invigorate play through a sense of discovery just by purposefully adapting the learning environment. Jodie is from Calgary, Canada. She has a Bachelor of Arts in Psychology and a Masters of Arts in Education, specializing in Assessments. She has been teaching in early years settings for 8 years in Asia. Margaret is from Toronto, Canada. 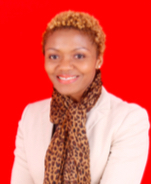 She has a Bachelor of Arts in Psychology and a Master's of Teaching in Primary/Junior Years. She has been teaching for 8 years in various educational settings. In this workshop, we will take you through the journey of how we went beyond the storybook to create a meaningful and engaging learning experience for young learners. We will share our experienceof how we took the ideas of our students and transformed our classroom into a living storybook. This led to the students creating their own stories in various formats and showcasing it to the peers and parents. There will be discussions on how teachers can transform their classrooms and reflect on how to embrace student ideas by empowering them to create their own learning environment. Participants in this workshop will have the opportunity to experience the student's learning journey from idea to final project. Examples of student's work will be shared, and we will incorporatae how teachers can use various tools to support students with their creative pieces including iMovie, iPads and file sharing. We will also address the challenges that we may face as educators and explore ways for you to adapt our idea into your classrooms. Join us as we use the power of stories to foster the love of reading and writing through imaginative and creative play. Through imaginative play and storytelling, children of all ages, and abilities can create stories that can take them on all sorts of adventures. (Lori) Originally, from the United States, I have lived in 7 different countries during my almost 30 year teaching career. Early Childhood Education, primarily 5 year olds, are my passion and I have worked towards a deeper understanding of the educational development of this specific group of young people. I am married and have 2 children. Our son recently graduated from NYU Abu Dhabi and will begin his international school career, while our daughter is attending college working towards her degree in education. I love to travel and explore new places and cultures, and an avid reader and lover of literature. Video footage of free choice time in an early childhood classroom that demonstrates students getting their needs met (love and belonging, power, freedom, fun, security). We will also discuss choice theory and how understanding children’s needs can help teachers form better relationships which fosters increased learning in classrooms. Anyone who works with young children will learn theory and practical approaches to better understand the importance of play and free choice. I am an elementary music specialist at the International School of Macao. Prior to teaching music, I was a French Immersion teacher in Alberta and have also taught I the Czech Republic before moving to Macau. I have a passion for literature and for incorporating literature into all areas of my teaching. In this session, we will explore ways in which music and picture books can be combined to engage students in literacy. We'll add rhythms, melodies and instruments. Come prepared to sing and play. Note: this session is not exclusively for music specialists. Classroom teachers are also welcome. 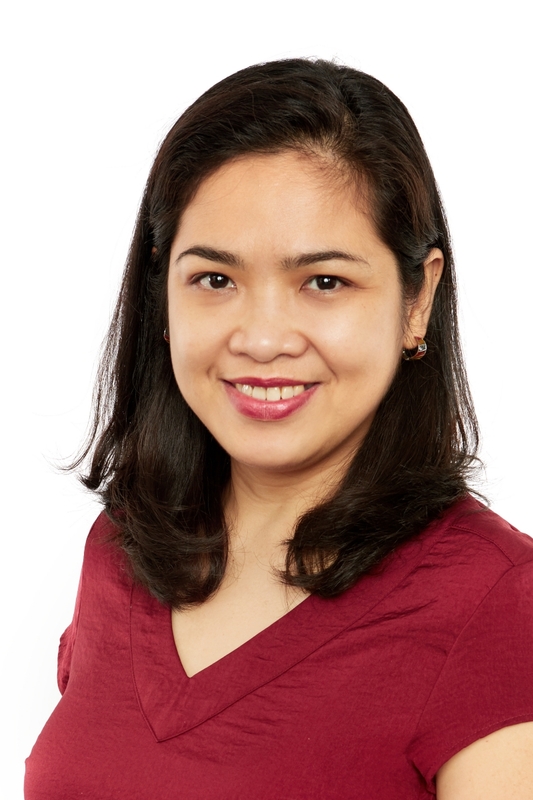 Ria Hennigar is a TCK with 15 years of experience teaching in Mexico, Japan, Nepal and China. Ria employs service based learning opportunities for children of all ages. She believe in empowering young children in finding a voice to create positive change in the world. Little people can make a BIG impact in the world. Service learning is possible at all ages, even the youngest learners. They may be small but they are Mighty! In this session, participants will explore the process of taking classroom curriculum a step further through Project Based Learning (PBL) to integrate service learning with core objectives. With examples with studnets from 4-6 years old, this workshop will provide concrete examples of how the strands of the curriculum can be woven into meaningful service learning experiences for young children. Participants will walk away with a beginners toolkit for integrating service leanring into PBL's. A toolkit of how teachers can integrate service learning and project based learning into their curriculum. Vanessa Ellison is originally from the UK and has taught in various school across the UK, teaching all grade levels. Her teaching career spans 20 years and she has been an Early Year Leader, Literacy Consultant and Deputy Headteacher during this time. She is most passionate about Early Childhood Teaching and welcomed the opportunity to join Beijing City International School in 2013 with her family. She is currently the Pre-Kindergarten teacher at the Early Childhood Campus and shares the role of Team Leader for Language Arts. How do we support the development of language for our early learners in a play-based setting? At the Early Childhood Centre, we intentionally plan our play-based learning areas to support the language development of our young learners. It is our everyday interactions, our observations of what we hear and see them do, which allow us to make interpretations of their learning in order to plan their next steps and goals. The planning and organization of our learning areas and provocations, as well as high-quality small group games are designed to explicitly support language development and speaking and listening skills. Adults know the importance that talk plays in a child's development and it is crucial that their role during a child's play is one in which scaffolds, supports, extends and is open-ended. The role of the TA is a particularly important one in a setting in which the mother tongue is predominantly Chinese and the process of interacting, observing, interpreting and translating student conversation and learning provides invaluable information, in which the class teacher can plan next steps for their language development. We believe student agency is a powerful tool and is at the heart of our play-based curriculum. How we empower student voice from Toddler to Kindergarten to enable them to make choices in their own learning is very much dependent on the environment (the third teacher). Today's children are becoming familiar with a range of digital technology. Through play opportunities, we can see how IT plays an important role in early language acquisition whilst enhancing confidence and other skills such as reading, viewing and presenting. All educators, especially those working in an Early Childhood setting. 1. Ideas for creating exciting learning environments, which supports and promote language development in a play-based setting. 2. Examples of documentation such as planning, observations and interpretations. 3. A list of Ipad applications and other high-quality ICT resources, which support speaking and listening and language development. Please refer to the Guidebook app as the most finalized version. Shekou International School (SIS) is the first international school in Shenzhen, celebrating its 30th founding anniversary in 2019. SIS has a tradition of excellence, committed in its mission of "providing a rigorous education in a caring community and inspiring our students to become principled, innovative contributors in a transforming world." Shekou International School serves the educational needs of expatriates in Shenzhen and nearby cities. It has over 900 students in nursery to grade 12, representing about 40 different countries. SIS has more than 140 world-class faculty and staff members hailing from 15 different countries. SIS is an IB World School offering the Diploma Programme and is currently a candidate PYP school. It is accredited from preschool to grade 12 by the Western Association of Schools and Colleges (WASC) and is a member of the East Asia Regional Council of Overseas Schools (EARCOS), the Association for the Advancement of International Education (AAIE), a founding member of The Association of China and Mongolia International School (ACAMIS) organization, and the Southern Delta Region Conference (SDRC). You need to make your own hotel reservation (or for your colleagues who are going to attend the conference/workshop). Due to traffic/construction work surrounding the school area, there will be no buses provided during the conference days. The recommended hotels below are within walking distance from the host school. Staff from the host school will be assigned to pick up/direct participants from the recommended hotels on the first day of the conference. We suggest that you use maps on your devices for direction. There are other hotels available in the area for reservation, but you (and/or your colleagues) will need find the way to the host school during the conference days. All above rate inclusive, breakfast, service charge and VAT tax. ACAMIS ECE (Early Childhood Education) Conference is a significant conference in China that involves international schools. Our 75 member international schools comprise over 8,000 teaching staff, serving some 64,000 students from various nationalities. The ECE Conference provides a professional development opportunity, meeting the needs of international school staff involved in Early Childhood Education. The teachers/school leaders attending are influential in the purchase of systems, equipment and supplies related to ECE in their international schools. We hope that the Early Childhood Education focus of this conference suits your target market. We will actively limit sponsorship to help maximize your exposure. Broad range including Early Childhood/Early Years Teachers, Teaching Assistants & ECE Leaders/Heads/Administrators in International Schools. We expect that 60-70 people will attend. The mobile event app Guidebook will show all conference information, sponsor details, etc. right on everyone’s mobile devices. Delegates can instantly explore more about your company with just a few taps. Conference Bag Sponsorship – $150 USD. This allows you to provide us with merchandise and/or catalogue/brochure to be placed into the conference bag that will be given to each attendee. You will need to send the item(s) through in advance of the conference. While most contact with attendees will occur during coffee breaks and lunch, as ECE participants openly and warmly interact, sponsors are encouraged to approach, mingle and get to know as many participants as possible. Sponsor representatives are also very welcome to attend any of the conference sessions they wish, and are encouraged to attend the Friday night social gathering. Please note you can make products, books and other materials available for sale at the host school, so long as you can provide fa piao. To apply for sponsorship please click the Sponsorship Application Tab above.